This item is currently reduced from £7.50 to £5.00, while stocks last! 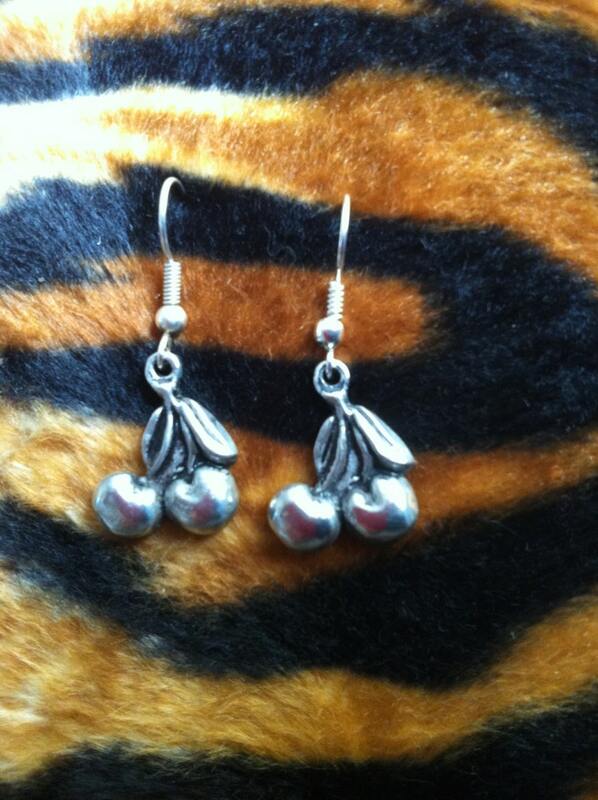 After a long wait I've finally managed to get the Cherry Earrings on the site! companions to the cherry bracelet and necklace, these earrings are simple, elegant and super sweet!